We keep a very good stock of spares and accessories for most motorcycles.This includes sport, commuter, mopeds, enduro and motocross. Comprehensive range of tyres, gaskets, piston kits, sprockets brake pads and shoes, bearings, cables, levers etc, the list is endless. 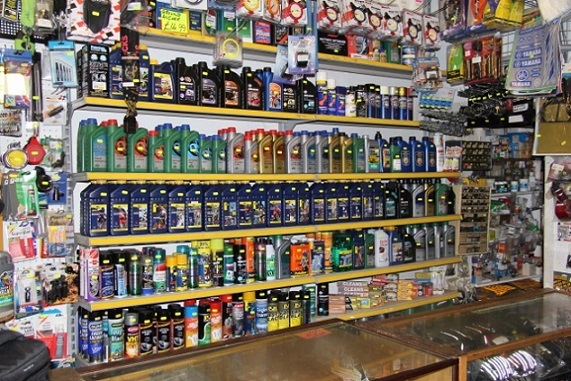 Oils by Putoline, Castrol, Rock oil and Silkolene. Chains by DID, EK, RK, Iris and economy brands. Also Mitas Stoneking enduro tyres stocked. Maxxis motocross/Enduro & road tyre stockists.